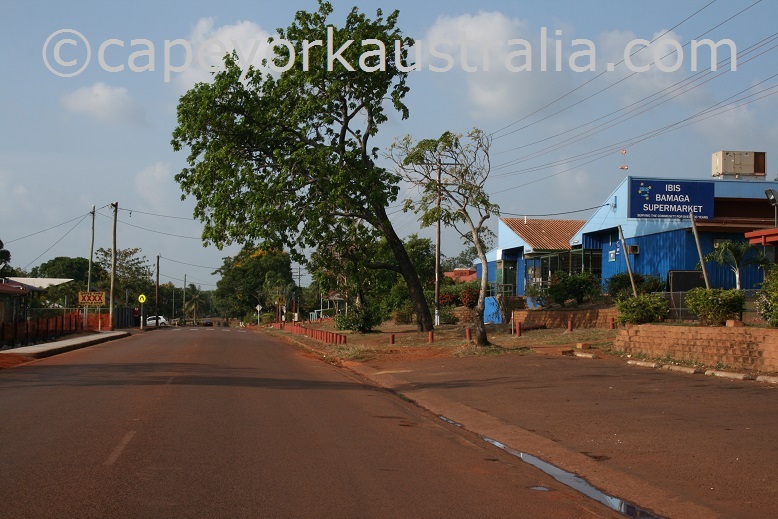 Bamaga is the largest township north of Jardine River. Being the largest community, it is the adminstrative centre of NPA. As opposed to the neighbouring Injinoo and Umagico, it is not an Aboriginal, but a Torres Strait islander community. 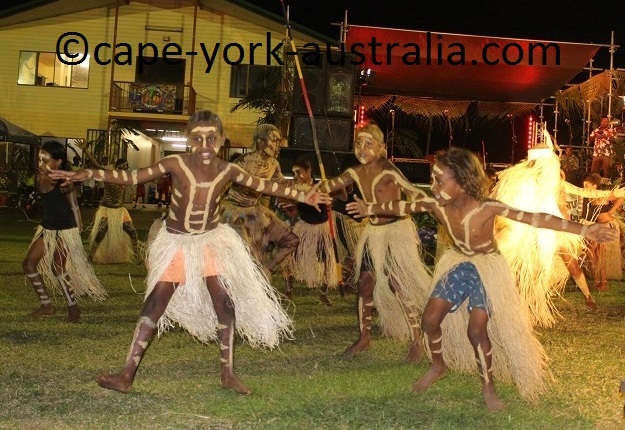 And not only that - it is a community of Saibai islanders - right from the northernmost Torres Strait. Like all the communities up here, there is not much especially for travellers. But I don't think there has to be. Just stopping and spending some time in the mainland Australia's largest islander community is interesting enough if it's your first time experience. There are mostly the practical reasons like the supermarket, but at a closer look there are also some things to see. 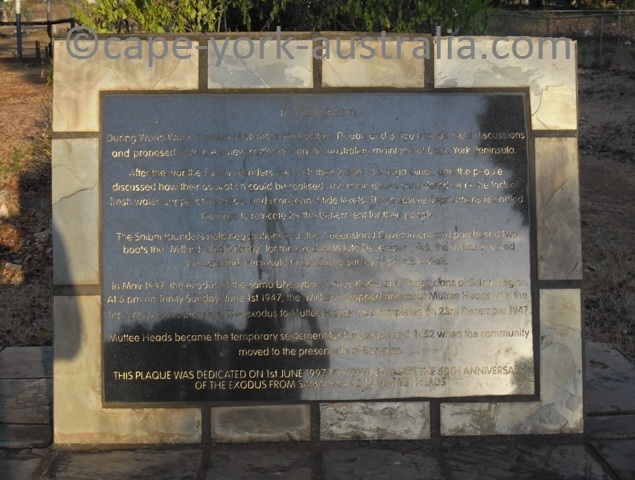 Particularly monuments - if you are a keen plaque reader, there is some interesting things to read, and it helps to know a bit of the local history. 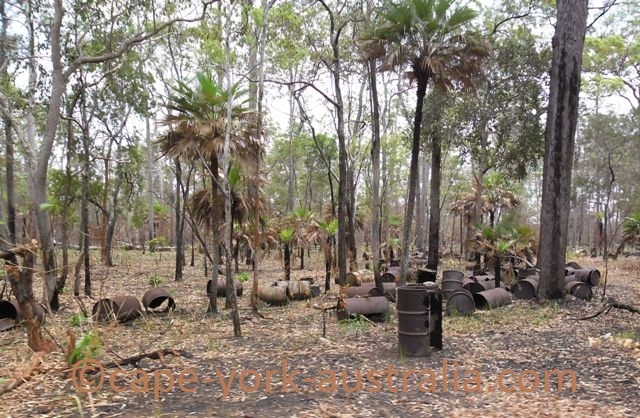 The whole area north of Jardine River used to be Aboriginal land divided between five semi nomadic tribes that at one stage settled where Injinoo is today. 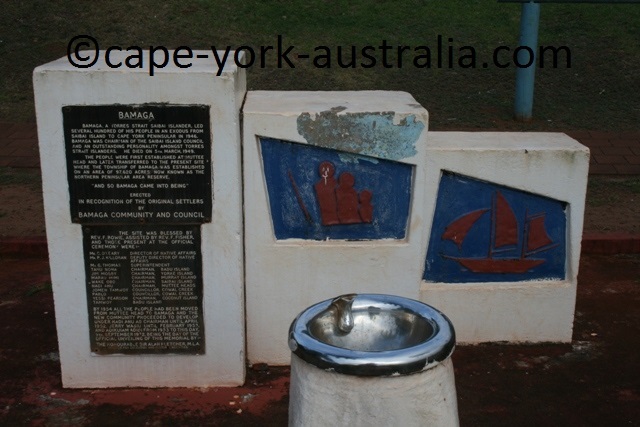 The whole area was the land of Injinoo people, including what was called Ichuru - the place where Bamaga is today. Then came the Second World War. 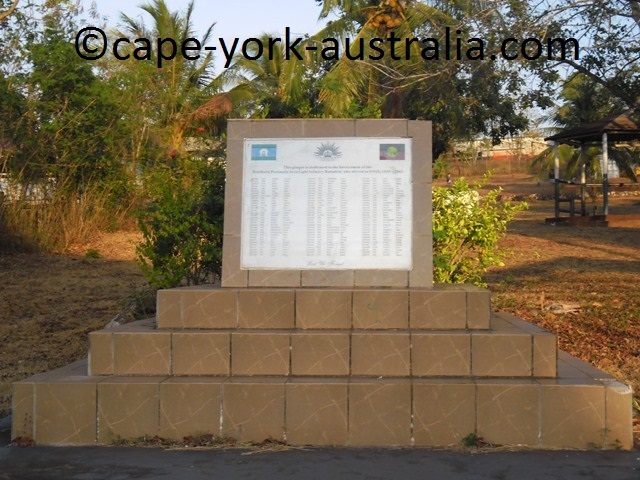 Australia was the next Japanese target after PNG, and northern Australia obviously was the first front, with northern Cape York peninsula being a busy war zone. 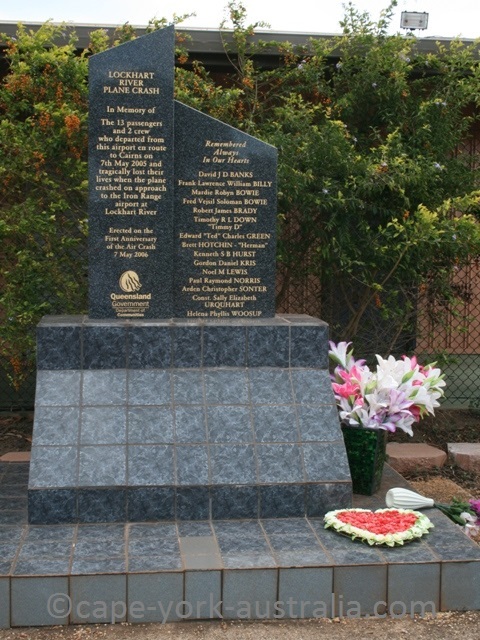 Today there are many different relics and monuments. But Ichuru was still Injinoo land, even after the WWII. 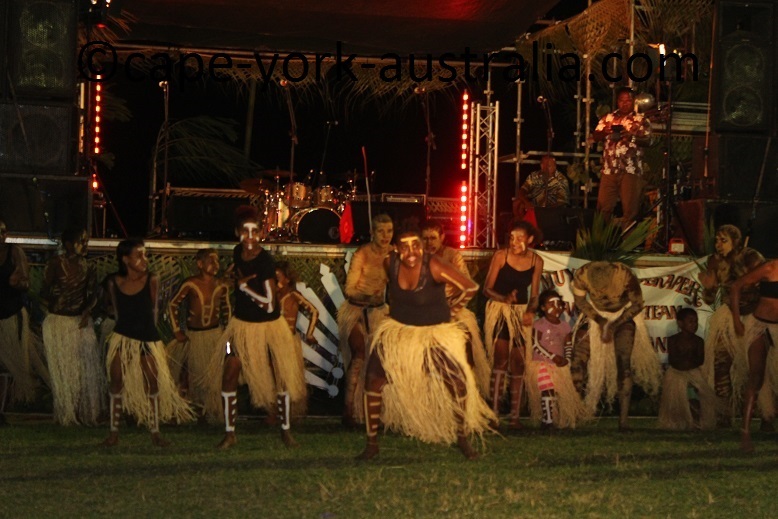 It was about five years after the end of the war as Saibai islanders got flooding and freshwater problems back home, and the Injinoo Aboriginal people kindly let them move in. That started Bamaga and Seisia. The whole NPA (Northern Peninsula Area) used to be Aboriginal land divided between five semi nomadic tribes - Atambaya, Anggamuthi, Yadaigana, Gudang and Wuthathi. The tribes fought a fair bit, but at one stage a group of people from different tribes came to peace and decided to settle where Injinoo is today. 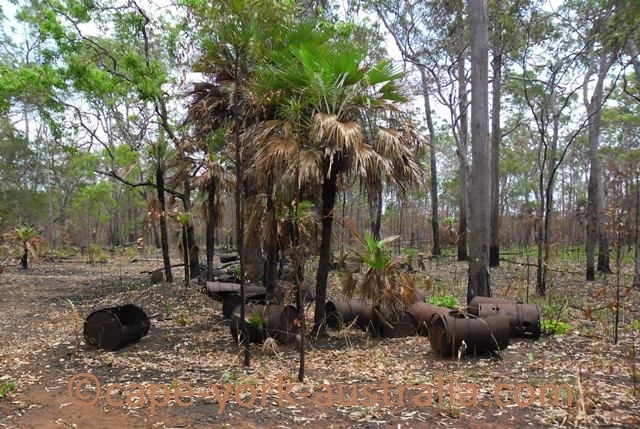 The whole area was the land of Injinoo people before, during and after the WWII, including Ichuru - the place where Bamaga is today. Then came the Second World War. The First World War didn't reach Australia, Australians fought over in Europe. 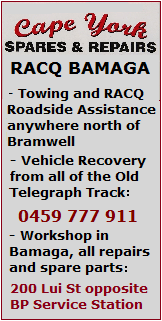 But the WWII did come to Australia, which was the next Japanese target after PNG. 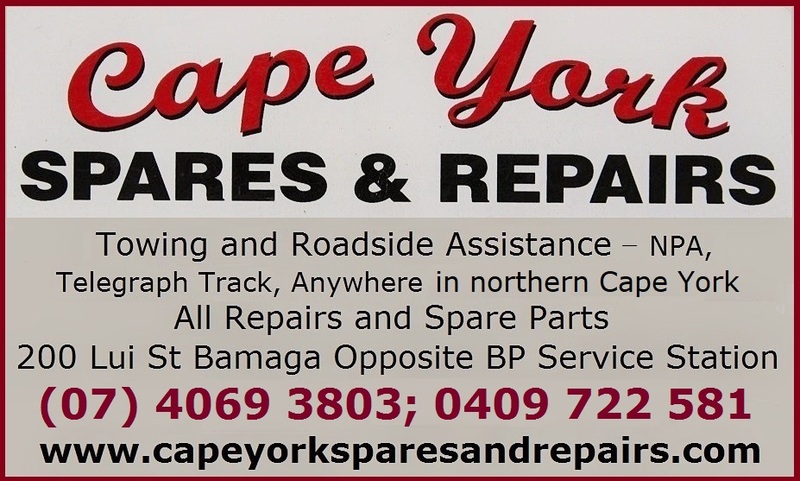 Northern Australia obviously was the first front, particularly the Top End of Northern Territory and Cape York peninsula. 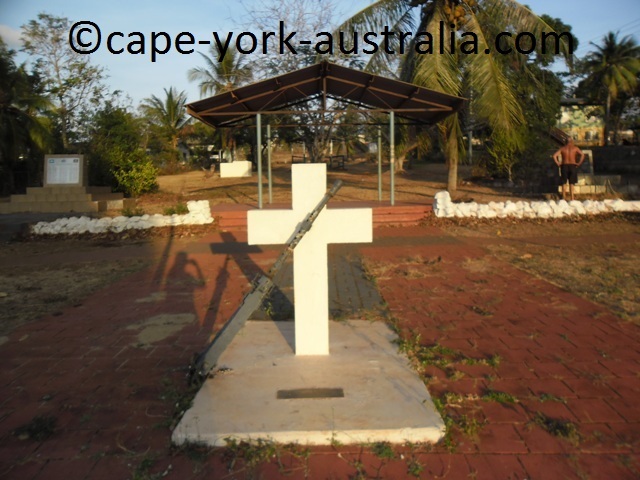 Horn Island was the second most bombed base after Darwin, so the tip of Cape York peninsula was a busy battle field. 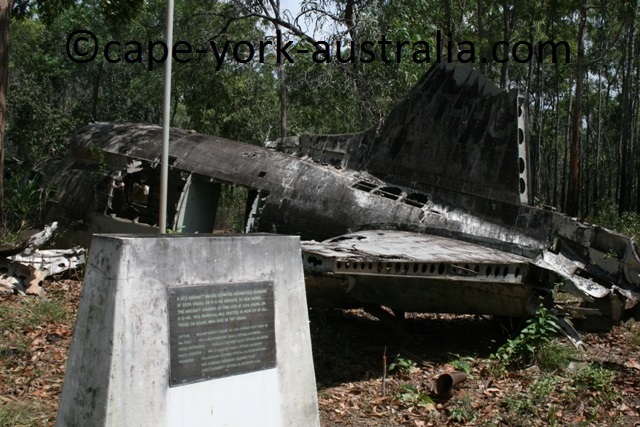 Today there are many air plane wrecks around the town, along with fuel dumps and other remnants. 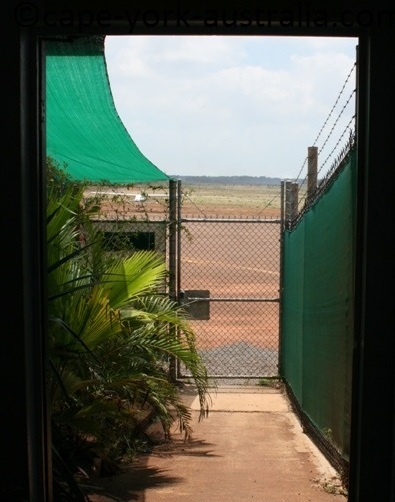 Just like Horn Island, Bamaga also got its air strip during the war, which today still is an airport. 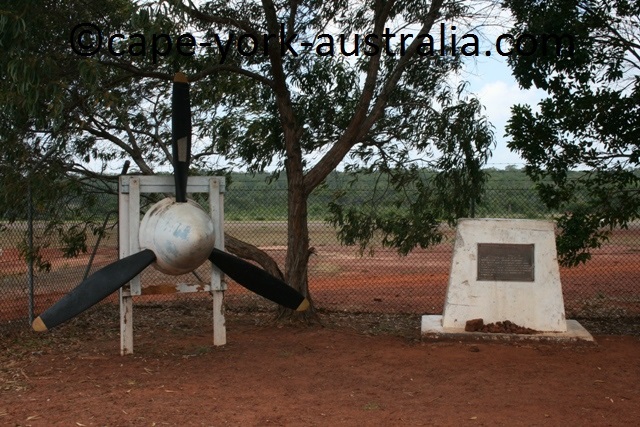 At the airport, there is also a monument for Jackey Jackey - the Aboriginal friend of Edmund Kennedy and the only survivor of the Kennedy expedition, after whom the airfield was named. 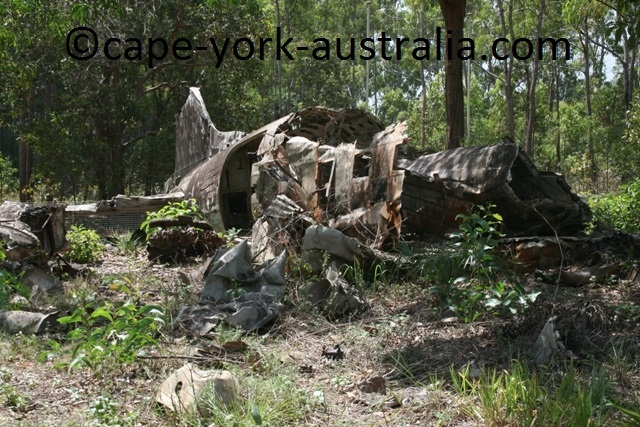 And there is another monument for a small passenger plane that in May 2005 left this airport for Cairns, but crashed above Lockhart. Only 8km south of Papua New Guinea, Saibai Island is an Australian island, just like all other Torres Strait islands. It may look fairly big on the map but is largely uninhabitable beacuse of lots of swamplands and flooded areas. After the WWII some particularly bad floods coinsided with Saibai soldiers returning from the war, telling the locals that there may be a solution if they move to the tip of Australian mainland. The Saibai leader, Bamaga Ginau, made the decision after a meeting to relocate to the mainland for the safety of their future generations. 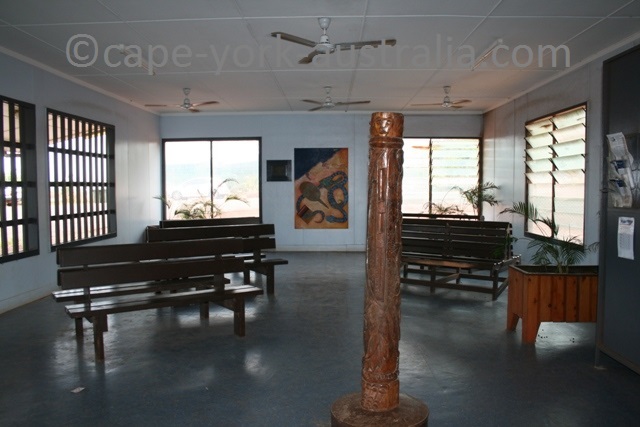 In 1946, two luggers were bought, to take the leader and a few families of first settlers to the tip of Cape York. 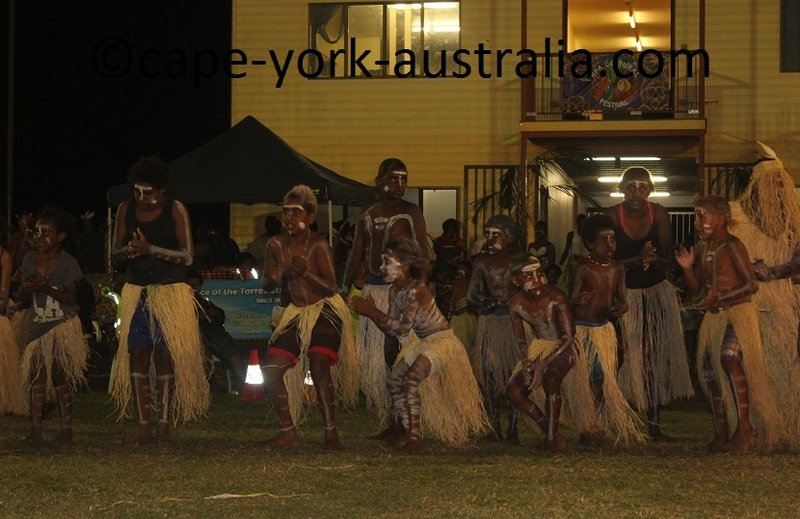 After asking permission from Injinoo people, they first settled at Mutee Head, while better places were found and built. In 1949, just after they found Bamaga, the leader Bamaga Ginau became sick and was taken to Thursday Island hospital, where he passed away. I don't have to mention how the township got its name! 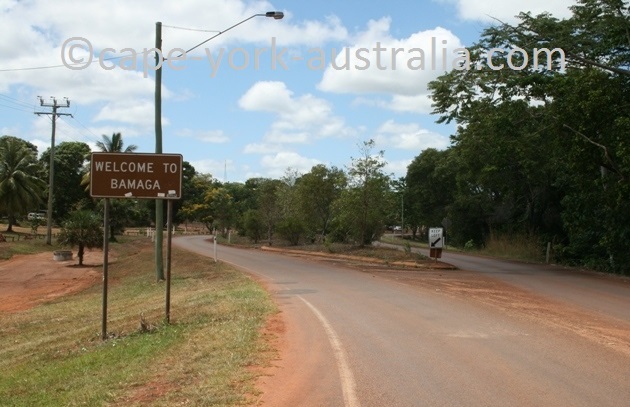 As the housing was gradually built most families moved slowly from Mutee Head to Bamaga. In 1954 most housing was completed and more people also arrived from Saibai Island. Today, with a population of about 800, it is the largest of all the communities in the NPA.